This evening we play the rescheduled match against Hull City, which will hopefully see us regain our four point lead at the top. January was much kinder to us then December, winning both our F.A Cup matches, thrashing Sunderland 7-2, Birmingham 3-0 and beating Burnley the Saturday just been. Drogba’s quest for the golden boot has suffered due to the ACN, he left as joint top on 14, but is now third place, six goals behind Rooney and one behind Defoe. Essien is out injured, Mikel and Kalou are back from international duty. Jose Bosingwa and Belletti are out injured, everyone else should be available. Anelka is expected to start, surely alongside Drogba. 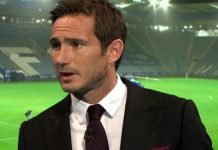 Malouda, Ballack and Joey Cole are all waiting on who will get the nod, Lampard the only midfielder who is surely certain of his starting place. Will Mikel be recalled to hold the midfield? Joey Cole was subbed off after a lacklustre display on the weekend and may be dropped to the bench. The defence almost picks itself, but there’s a question as to who will partner JT in central defence, Ashley Cole, John Terry and Branislav Ivanovic should all start, Alex started against Burnley and will perhaps be favoured to Carvalho again. The Tigers fortunes could barely contrast ours any more, they lie second bottom, one point from safety, a win will see them go to 15th. Phil Brown has been under fire and will be desperate for a win, the ‘six pointer’ against Wolves ended in a 2-2 draw on the weekend, with Gardener scoring a horrific own goal. Jimmy Bullard is likely out of action for Hull City with a knee problem, Ghilas, Marney and Zayatte are also doubts, Ashbee is definitely out, Seyi Olofinjana returned from ACN duty. Since Christmas, Hull have played five Premier League matches, drawing three of them and losing home and away to Man United. They’ve not won in any competition since beating Everton at the end of November. The match in August was Carlo’s first at the helm and eventually finished in a 2-1 victory. We went a goal down when attempted murderer Stephen *unt scored for them, and Drogba equalised with a free kick eight minutes before the interval. With the second half a stalemate and into injury time, Didier’s cross somehow found it’s way into the back of the net, cruelly robbing Hull of a point. We had 26 shots at goal, with twelve of them on target, out of Hulls seven attempts, three were on target. The referee has is Mark Clattenburg, who has officiated two of our matches this season, the Burnley and Pompey home matches, handing out a total of one yellow card. Cech, A.Cole, Terry, Alex, Ivanovic, Mikel, Ballack, Lampard, Malouda, Drogba, Anelka.